MUST BE CURRENT MEMBER of any of the following hosting groups: CT Bar Association (CBA), CT Environmental Forum (CEF), Env. Prof. Org. of CT (EPOC) or CT Society for Women Environmental Professionals (SWEP-CT). For all who do not qualify for member rate. Payment must be submitted NO LATER THAN March 5th to hold your registration. Cancellations will be accepted until March 11th, after which no refunds will be available. Substitutions may be made at any time. 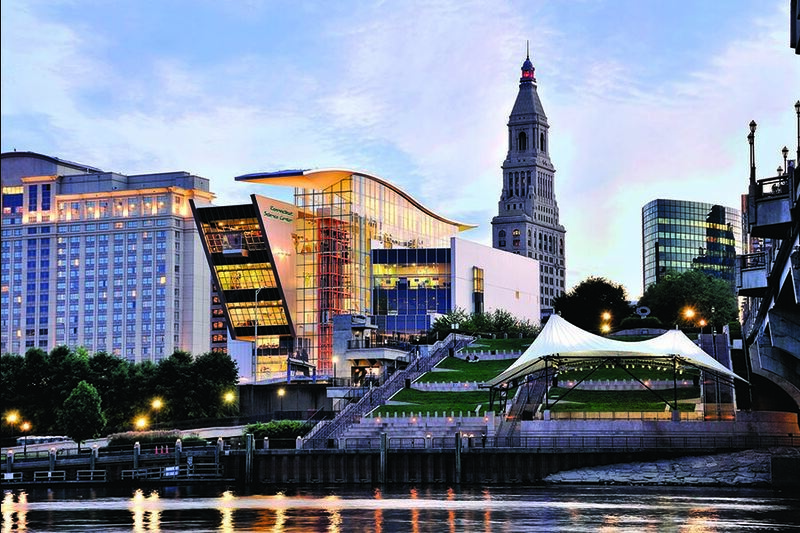 We are pleased to invite you to attend a special evening at the Connecticut Science Center in Hartford! This gala event will include access to select exhibit areas at the museum, social/networking time with members of four prestigious associations, food and drinks, and a keynote address from Gina McCarthy, former EPA Administrator and Commissioner at CT DEEP. Advanced registration is required to attend this program, and we strongly recommend you sign-up early to guarantee a spot. More spaces have been allotted to those who are members of our sponsoring organizations. If you are not a member, please consider joining one or more at this time (see links above and below to association websites). Member Rate ($40) for CBA, CEF, EPOC, SWEP-CT: MUST BE CURRENT MEMBER of any of the following hosting groups: CT Bar Association (CBA), CT Environmental Forum (CEF), Environmental. Professionals' Organization of CT (EPOC) or CT Society for Women Environmental Professionals (SWEP-CT). Non-member Rate ($50): For all others who do not qualify for the member rate. NOTE: This rate will change to $60 after 3/11. Connecticut Science Center: 250 Columbus Blvd., Hartford, see Google Map. Paid Parking is available in the onsite garage located at the corner of Bob Steele Street, formerly Grove Street, and Columbus Boulevard, underneath the Science Center building. McCarthy’s 35-year career in public service has been dedicated to environmental protection and public health. 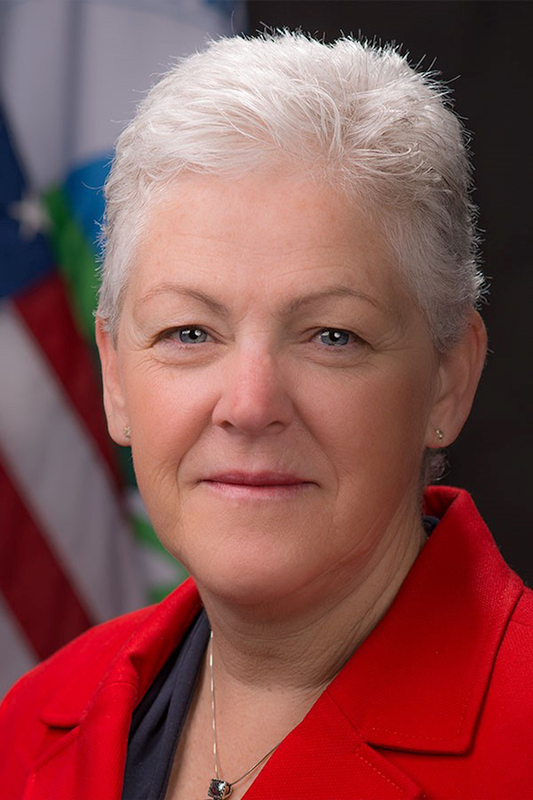 As Administrator of the U.S. Environmental Protection Agency under President Barack Obama, she was the nation’s leading advocate for common-sense strategies to protect public health and the environment, including efforts to address the challenge of climate change and ensure the protection of the country’s water resources. Her leadership led to significant federal, state, and local actions on critical issues related to the environment, economic growth, energy, and transportation. Since leaving Washington, McCarthy has been a fellow at Harvard’s Kennedy School of Government’s Institute of Politics and the Menschel Senior Leadership Fellow at Harvard’s T.H. Chan School of Public Health. On January 1, 2018, she became Director of Harvard Chan’s Center for Health and the Global Environment, leading the development of the School’s strategy in climate science, health, and sustainability. 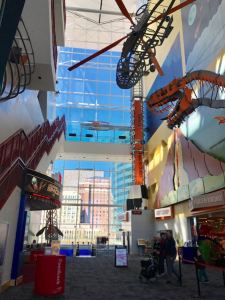 The LEED-Gold certified Connecticut Science Center, located in downtown Hartford, sparks creative imagination and an appreciation for science by immersing visitors in fun and educational hands-on, minds-on interactive experiences while maintaining an environmentally conscious presence. Serving over 2.5 million people since opening in 2009, the Science Center features more than 165 exhibits in ten galleries covering a range of topics, including space and earth sciences, physical sciences, biology, the Connecticut River watershed, alternative energy sources, Connecticut inventors and innovations, a children’s gallery, and much more. Other features include four educational labs, a 200-seat 3D digital theater, function room, gift store, and ongoing events for all ages. The Science Center is a non-profit organization dedicated to enhancing science education throughout the state of Connecticut and New England, providing learning opportunities for students and adults of all ages, and engaging the community in scientific exploration. The Connecticut Bar Association is a membership organization of Connecticut attorneys working to advance the principles of justice, the practice of law and the public understanding of the law. The Environmental Section of CBA promotes the educational and professional objectives of the CBA within the practice area of environmental law. The Connecticut Environmental Forum (CEF) is an organization which provides a forum for environmental professionals to share and exchange information and experiences on environmental matters, and to learn about the latest issues regarding environmental regulation. The mission of SWEP-CT is to encourage and promote the leadership, achievement, and professional and personal development of women in the environmental professions. EPOC represents the interests of Connecticut's Licensed Environmental Professionals (LEPs), along with those on-track to becoming LEPs, by providing information, training and regulatory updates on pertinent issues. Event Sponsors - THANK YOU! Note: All sponsors will be recognized on the event registration page, mail announcements, and at the meeting.